Nestle India, at present, has eight factories across the country. 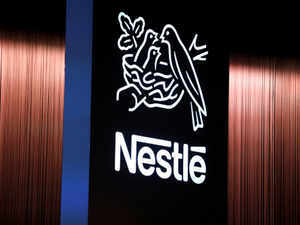 NEW DELHI: The Indian arm of Swiss food company Nestle SA said on Monday it is evaluating launching twothree dozen products in 2019 across categories. The company had crossed the Rs 11,000-crore sales mark last year. The maker of Maggi noodles and KitKat chocolate, along with Google, is set to roll out Ásk Nestle, an online portal which will give personalised information, curb fake news, and offer information on nutrition and dietary plans, the company said. Narayanan said the company may consider using the portal as a platform for selling its brands online, which it may link with its own ecommerce website. He said the company would continue evaluating inorganic growth. Narayanan said the Supreme Court’s revival of the government’s case against the company regarding Maggi noodles in the National Consumer Disputes Redressal Commission last month has not impacted sales of the product. The company already has a CFTRI report that has cleared Maggi as being compliant for lead and other relevant parameters.